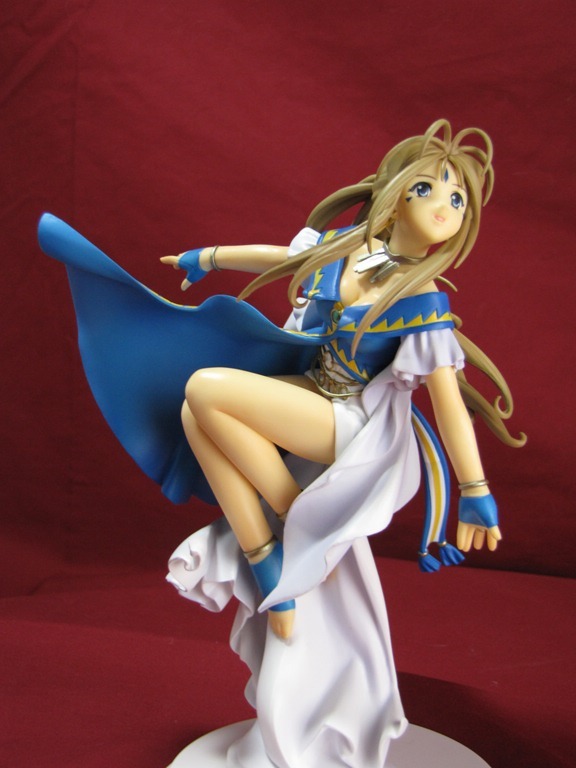 belldandy – How Do You Figure? 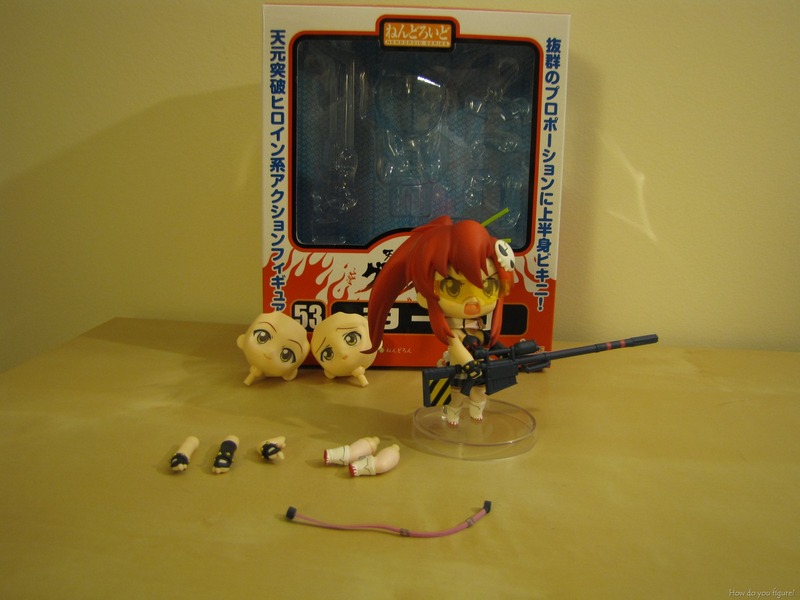 I got my first Nendoroid recently, and I’m happy to announce that it’s also my first Yoko figure! First impressions are very positive. The parts have a very chunky and solid feel without being too heavy. The facial expressions swap out easily and there is very little play once the hair pieces are snapped on. Downsides that I discovered are that the appendages require a bit of working to get in place and stay on. I often ran into issues where her hair interfered with the arm placement, resulting in the arm falling off. Also, since they aren’t jointed, there is little range of movement. After setting up my new lighting table, I decided to give it a workout by taking some nicer shots of the Belldandy figure I picked up at Katsucon. Compared to the initial photos I took of her, the new ones came out much nicer. The new lighting has smoothed out some of the shadows and gave an overall warmer color to the figure. With that out of the way, on to the review. This figure started life as a resin cast kit released by Kotobukiya back in 2001. From the look and style, she appears to be roughly styled after the movie rendition of Belldandy. 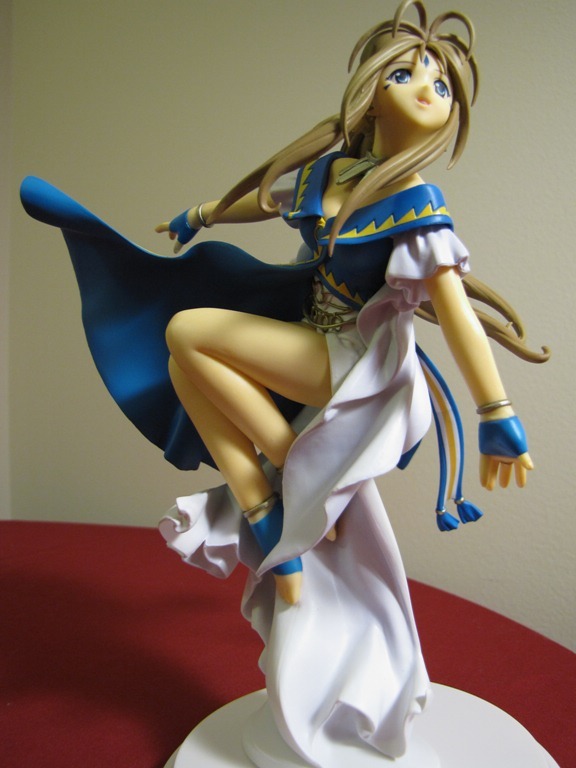 Six years later, a preassembled and painted figure was released. 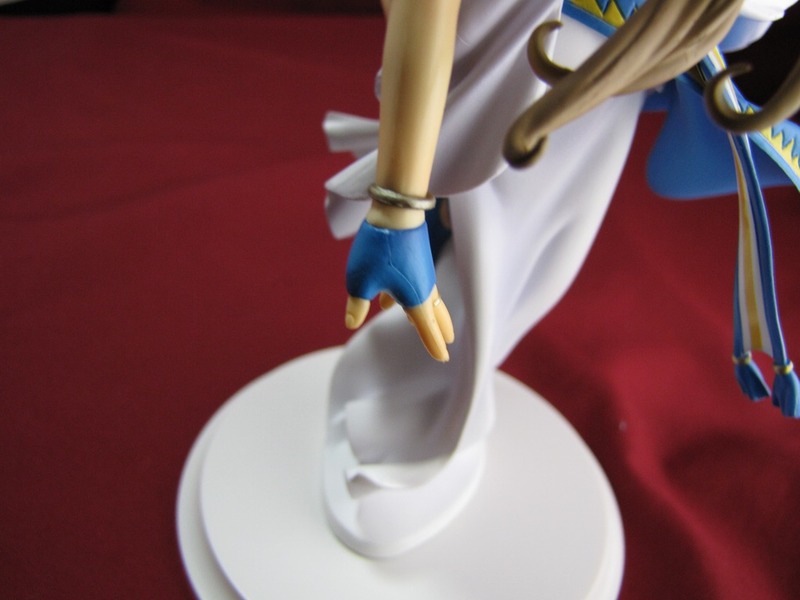 Quality and detail is very high (as expected of any Kotobukiya figure), however there are a couple of visible flaws. Additional photos (pre and post lighting changes) can be found here. I picked up a couple of interesting photography tips today from comments over at DannyChoo.com about various ways to do lighting for figure photography. 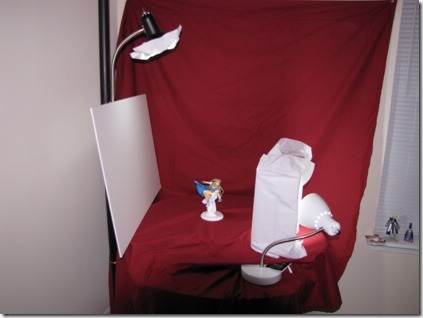 I’d recommend checking out this tutorial for some hints on constructing a cheap lighting setup. Good photography is good lighting. A lot of people think that good lighting is expensive. Wrong. The best light source for photography is free. The sun! If you’ve got a backyard use it. Shoot in the morning or an hour or two before the sun sets for the prettiest light. 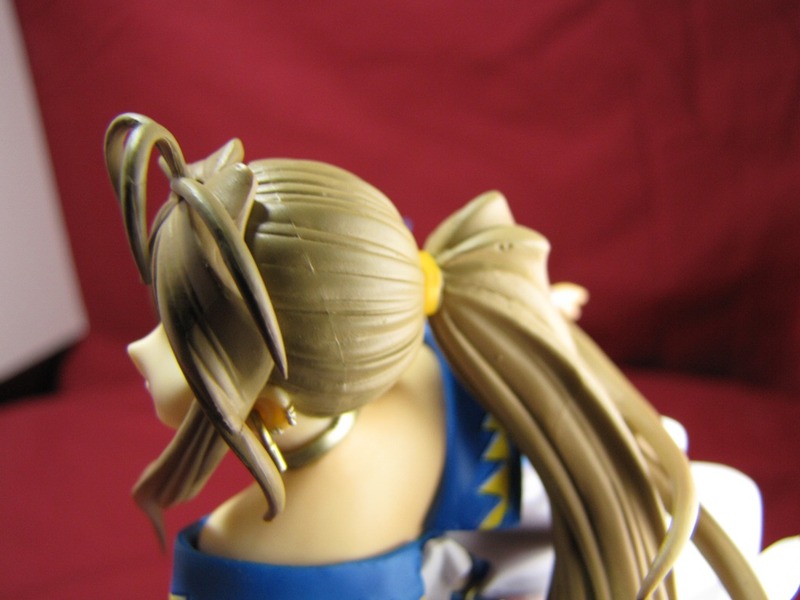 Those looking for the quickest and easiest way to take pics of your figs, well there you go. But if you’re in the city or in an apartment and feel a little too funny about taking a half naked anime babe outside for a photo shoot while people walk by wondering what kind of freak totes a half naked anime babe out in public, this means you’re shooting inside. It takes a little setup, but really all you need for an indoor lighting setup are two desklamps, a couple of big sheets of construction paper in different colors, a cardboard box, some tracing paper, and some tape. Many of you have tried the desklamp thing and gotten results you weren’t that happy with, but if you use them right, you can get some good results. The best type of easy indoor lighting is a daylight balanced (aka, full spectrum) light source, because it’s close to daylight in color and it burns relatively cool, which is a plus when shooting PVC. 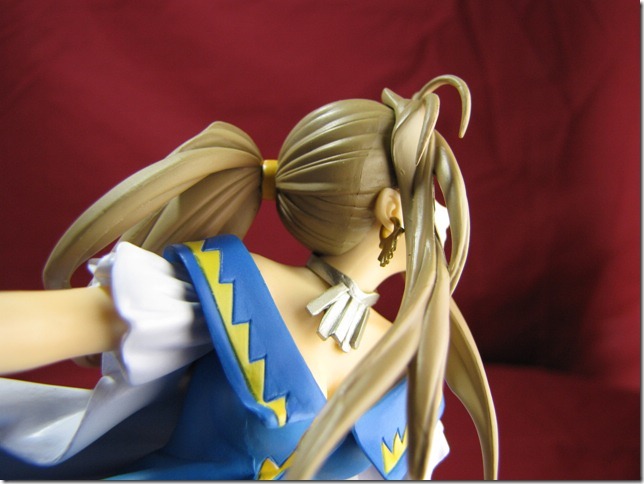 You can use normal lights, but just watch for overheating your figures and calibrate your camera’s white balance settings accordingly. With that in mind, I hit the local Target for supplies. I picked up some tissue paper from the gift wrap section, some tape, a $10 desk lamp, a large white piece of craft board, and two 6500k fluorescent bulbs (one 60w equiv, the other 100w equiv). I’d also picked up some thumb tacks so I could finally hang up the flat sheet I was using as the table cover to make a uniform background. 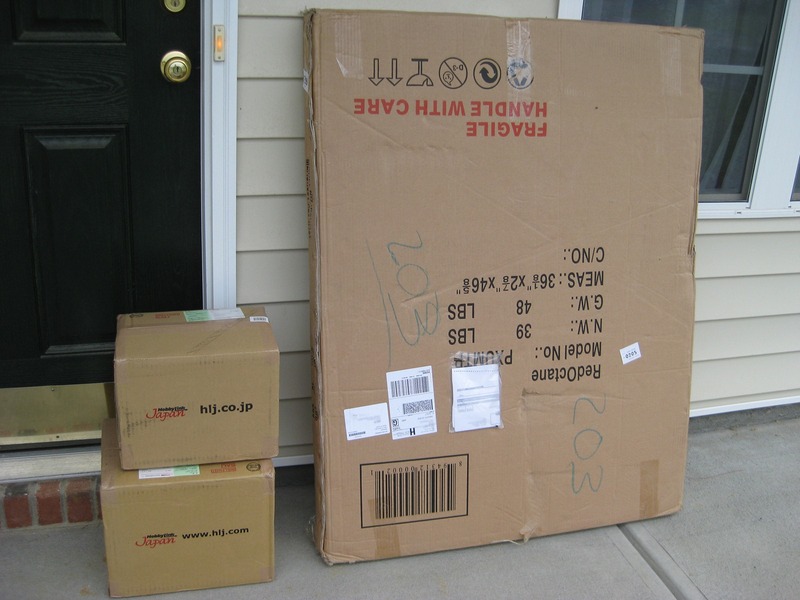 Once I all the stuff home, I found a medium sized box and set to work. The setup itself was fairly easy. Taking a couple sheets of tissue paper, I taped it to the ends of the box to create a diffuser. I’m pretty happy with the results. The only tweak I’ll have to make is with the bulb size, as the 100w bulb I used for the main lamp is a bit too bright for such close proximity. I’ll need to step it down to a 60w and also take the overhead lamp down to 40w. I should also cut the craft board in half for a smaller reflecting surface to make it easier to manage and shoot around. In total, everything cost me under $30, with the bulk of the cost being for the desk lamp and the bulbs.